So now your special day is over. You knocked them dead in your Quinceanera gown. Your guests loved the feast. The decorations are put away and you and your family and guests are reliving a day that will make for a lifetime of wonderful memories. But that doesn’t mean your duties are done. After taking off your makeup, and taking down your hair, there’s one more thing for you to take care of: Preserving your dress. 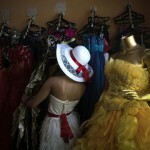 Why Preserve your Quinceanera Dress? 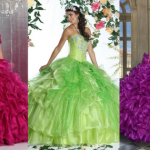 Your Quince dress may be the best thing to keep your memories intact. 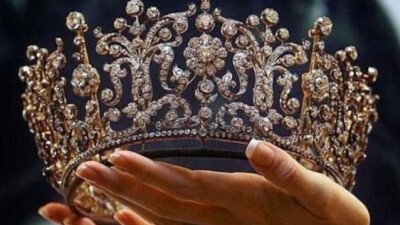 It’s also a stunning piece of history if yours was a traditional Quinceanera celebration. There’s little else that can instantly transport you back to the day that you felt like a princess or that will refresh your memory as if it all happened just yesterday. So it’s well worth your time to preserve your dress, because if you play your cards right, you might even pass it on to the next generation when the time comes. 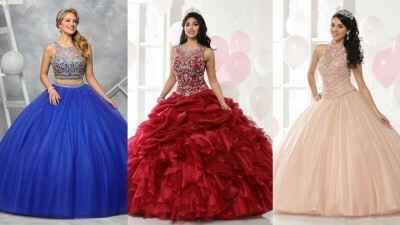 Besides, your Quinceanera dress is family history personified! But just how do you take care of your grandest and most significant dress yet? A Quince gown isn’t like any other piece of clothing that you can just throw into the washer. It needs extra loving care, and there are two basic ways to go about it. First, there are companies that will preserve your Quinceanera dress for you. 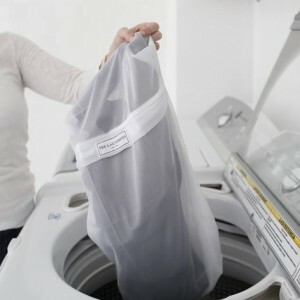 They’ll handle the cleaning, packaging, and in some cases, even the storage of your dress. Once you want to wear it again, or perhaps pass it down to a younger relative, they’ll make sure it’s in top condition before sending it back to you. Second, if you decide to preserve your gown yourself, there are certain steps you should take very seriously. Don’t have your dress dry cleaned by just any provider. Make sure they specialize in formal gowns and also check if they have a hand wash option available. By the way, we’re not talking about tossing your Quinceanera gown into the washing machine! We’re referring to washing by hand. Careless cleaning is a sure way to ruin the intricate beading, lace, or anything else that went into the design, but there’s more involved that just paying attention to the trim. There may also be hidden stains so focusing on just the visible ones isn’t a smart move. For instance, sugar stains only become visible after they yellow, which can take a little time. 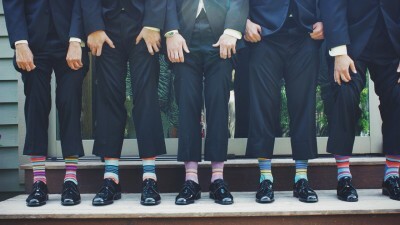 Wet cleaning refers to gently washing down your gown with subtle cleansers. Make sure to do this with patience and care, though, since the entire gown should be washed all over. 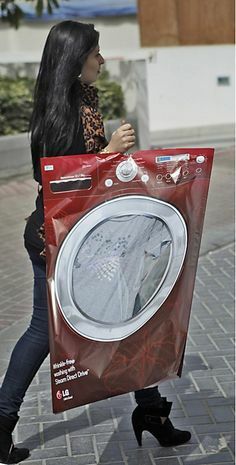 Dry cleaning involves pre-treating stains and then placing the dress into a special cleaning machine or, if you DIY at home, using a special bag. 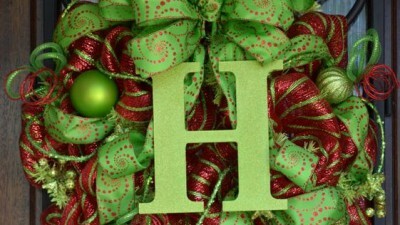 It’s imperative for the solvent you use to be appropriate for fragile decorations. As an extra precaution, throw in some muslin fabric to protect the gown as well. Normally, perchloroethylene (PCE) or another petroleum-based cleanser is used because the petroleum base is less aggressive when it comes to stain removal. An additional plus to petroleum-based cleaners is that they can nourish fabrics because of their higher oil content. The next step is to package your gown. 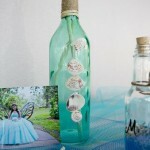 Correct packaging is key to Quinceanera gown preservation, so make sure not to skimp on this one! Be sure that any and all storage materials you plan to use are clean and acid-free. Then after cleaning the dress, it’s best to wrap your gown in acid-free paper and also put it in an acid-free or pH-neutral box. This allows the material to breathe and the fibers to subtly shift according to the temperature and humidity. Take into consideration the color of the paper as well. 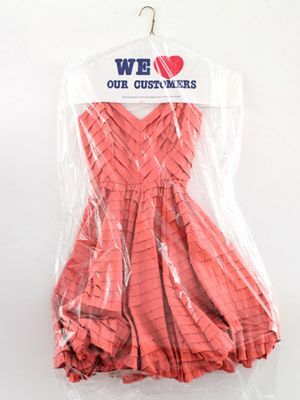 If any moisture gets into the packaging, colored paper is more likely to stain the dress. Also, never ever store your gown in a plastic container like a storage tub! Tip: Research the type of fabric that’s best to store your Quinceanera gown, then make a bag for it that either matches the theme of your Quince, or is just plain charming and fun! 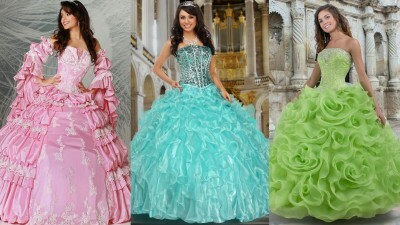 Preserved Quinceanera gowns fare better in places with a stable environment and non-fluctuating temperatures and humidity levels. 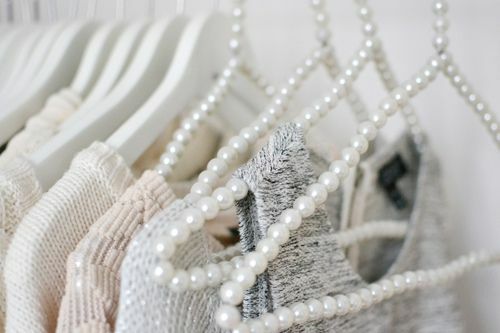 Therefore, do not store your gown in the attic or basement, or even against the outer wall of your closet. Attics and basements tend to be hot and/or humid, and the heat from the outside wall of your house can affect the fabric over time. It’s crucial to keep your preserved Quinceanera gown away from light, which is why plastic containers—especially clear ones—are not a good idea. Clear storage tubs and clear storage bags will both let in light that can yellow or fade the fabric. You also want to protect the gown from dust and insects. Moths and other fabric bugs will definitely ruin your dress, perhaps enough that it can’t be restored. Just imagine opening up your dress box or bag only to see a hole chewed straight through the skirt! When it comes to boxes, one size does not fit all. Choose a box that requires the least number of folds necessary for your gown. In general, the larger the box, the better, but size isn’t the only thing to pay attention to. 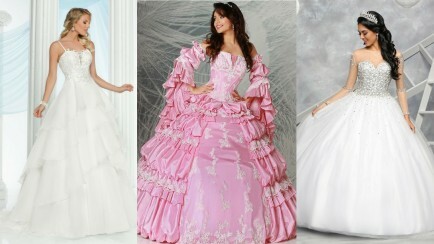 Boxes are best if your Quinceanera gown has a lot of embellishment and is a little on the heavier side. If it’s lighter or has less heavy detail, you have the option to hang your preserved gown on a padded hanger. This is especially true if you’re not as tall and so your Quinceanera dress was designed for a short woman. The reason not to hang heavier gowns is that the weight of the gown may cause undue stress to entire dress, particularly the bodice. If you’re going to hang your dress, make sure to use an opaque dust cover, usually cotton or muslin. The cover itself also needs to be cleaned before it’s placed over the gown. Preserving your Quinceanera gown involves a little more fuss, but the memories—and the chance to pass the dress on one day—are well worth the trouble! Experts say that taking a preserved gown out once every 12 months is ideal. 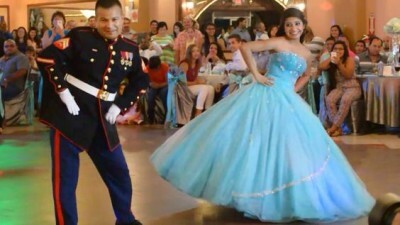 You could do this perhaps on the anniversary of your Quinceanera and have a little memory party. This lets the material breathe, and you can inspect your dress as well in case any stains were missed or you see signs of insect invasion. Taking it out once a year will let you nip stain and bug problems in the bud. 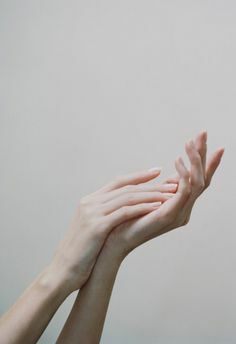 Important rule to never break: Clean Hands Only! Don’t ever touch your dress without washing your hands thoroughly. Never mind the tragedy of getting something like ink or powder on your gown. Even the oil from your hands can damage your dress. Once the nostalgic moment created by your lovely preserved Quinceanera dress has passed, make sure to use new papers to repackage your dress before you put it back into the box or bag. You should also wash the cover, or buy a new one, if you’ve opted to hang the garment. 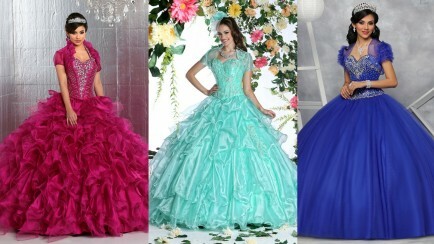 Just for fun: Check out our blog on what the colors of each Quinceanera dress mean. 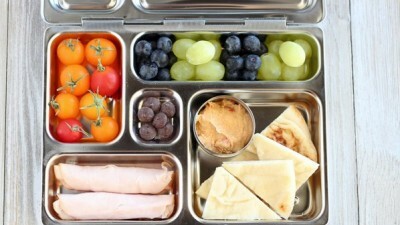 You might just get an idea for how to decorate that storage bag or box!